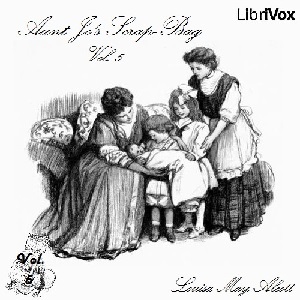 A book of short stories by Louisa May Alcott, author of Little Women and Eight Cousins. It includes Two Little Travellers, a story about two very different little girls, Lunch, a story of two women who resolve to stop the schoolboys from eating unhealthy lunches, How They Camped Out, a story of a sleighing party gone wrong, and 10 more bits and pieces from Aunt Jo's Scrap-Bag. The series is not about any characters from the Little Women books - doubtless the publisher relied on the popularity of that series to sell this one. Not as good as many of her other titles. I was a bit dissapointed.